Synthetic cannabinoids have a potency ranging from 2- to 100-fold that of Δ-9 tetrahydrocannabinol. In the current retrospective study, the electronic medical records of inpatients (ages 18-65 years; 82.7% men; 53.1% whites) at Harris County Psychiatric Center in Houston, Texas, admitted between January 2014 and July 2015 were examined. These patients had a discharge diagnosis of bipolar disorder (n=142) or schizophrenia/other psychotic disorder (n=182), and had self-reported use of synthetic cannabinoids or lack thereof (n=162 for both) were examined. In addition to demographic data, antipsychotic medication doses at discharge (ie, stabilization dose during hospitalization) were extracted. According to the study authors, length of hospital stay can be predicted both by a direct and an indirect effect of synthetic cannabinoid use, the latter a factor of antipsychotic dose. Using a Satorra-Bentler χ2 difference test, the nature of the psychiatric diagnosis was not found to affect the relationship between use of synthetic cannabinoids before admission and hospital length of stay or antipsychotic doses. Using a diagnosis-invariant-derived structural equation model, length of stay was found to be predicted by dose of antipsychotics at discharge and use of synthetic cannabinoids. In particular, patients who had reported use of synthetic cannabinoids vs no use had shorter lengths of hospital stay (factor of 0.76; P =.001), and length of stay was increased by a factor of 1.0003 with each unit increase of antipsychotic dose (P =.005). 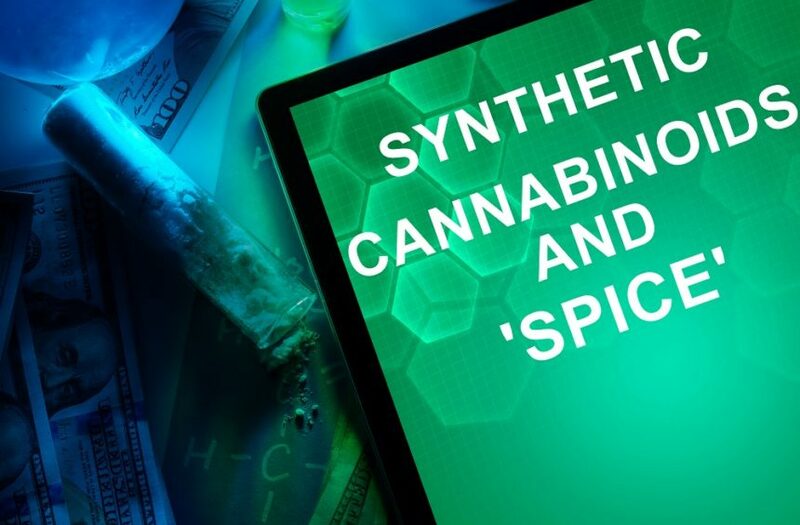 In addition, synthetic cannabinoid use predicted medication received (P =.014), with patients who had taken synthetic cannabinoids receiving lower doses of medication compared with individuals who had not taken the drug. Last, use of synthetic cannabinoids had an indirect effect, mediated by dose of antipsychotic medication, on hospital length of stay (P =.012). Deng H, Mohite S, Suchting R, Nielsen DA, Okusaga OO. Impact of synthetic cannabinoid use on hospital stay in patients with bipolar disorder versus schizophrenia, or other psychotic disorders. Psychiatry Res. 2018;261:248-252. Castaneto MS, Gorelick DA, Desrosiers NA, Hartman RL, Pirard S, Huestis MA. Synthetic cannabinoids: epidemiology, pharmacodynamics, and clinical implications. Drug Alcohol Depend. 2014;144:12-41. Every-Palmer S. Synthetic cannabinoid JWH-018 and psychosis: an explorative study. Drug Alcohol Depend. 2011;117(2-3):152-157. Celofiga A, Koprivsek J, Klavz J. Use of synthetic cannabinoids in patients with psychotic disorders: case series. J Dual Diagn. 2014;10(3):168-173. Bassir nia A, Medrano B, Perkel C, Galynker I, Hurd YL. Psychiatric comorbidity associated with synthetic cannabinoid use compared to cannabis. J Psychopharmacol (Oxford). 2016;30(12):1321-1330.